Drug-crazed acid-rocker Ozzy Osborne appeared here last issue, moaning about how bad guns are and why they should be taken away; that needs to be balanced with this: "What is weird is that Ozzy keeps an M1 Garand under his bed. I saw it on his reality show a few years back." Thanks for that, Ron B.
APOLOGY: I had to forgo an issue or two of Page Nine to push ahead several critically important projects. Please accept my thanks for your patience. These and other dangerous paradoxes of the American self-defense system are the topic of my next book, with input from dozens of lawyers, prosecutors and experts. I came up with the perfect solution -- but the experts hated it. Well most did, some see real value. It’s all in my next book: After The Shoot -- Your Gun’s Hot, The Perp’s Not, Now What? The book should go on press soon, and I’ll make an announcement. In the meanwhile, the following Page Nine items have been languishing, so you’ll have to think back a little, but the news silliness I address here is as bad as it ever gets, and some of it no doubt blew by you without a second thought. The two plants that make smokeless powder in the U.S. are the General Dynamics plant in St. Marks, Florida (manufactures for Hogdon and Winchester, plus military contracts), and the Alliant plant in Connecticut (manufactures for the Alliant family, plus the Lake City Arsenal). All other powder used in the U.S. is imported (from Canada, Australia, Scandinavia, Israel and others). Two plants for the entire nation is not a very deep backup reserve. Any threats to these operations -- from government, law makers, activists, public pressure, enviro-wackos, islamists, etc., is a threat to us all. Thanks to Montana-based rights activist Gary Marbut for bringing this to my attention. Crazy racist madmen in Arizona are pushing a racial profiling campaign that forces Gestapo-like police to stop anyone brown on the street and demand ID papers. This is a hopelessly Nazi perversion of the American system, and if you have a shred of decency you will boycott these hateful lunatics. Show them that Hispanics promoting La Raza and Aztlan, who have snuck into America through great hardship, are decent migrants seeking a better way of life, who deserve support, kindness, welfare, amnesty and free medical care. I got to watch the entire police training video for enforcing SB1070, Arizona’s anti-illegal-immigration law. Here’s what I learned. Pretty much everything you’ve heard in the “news” about this law and its enforcement is completely wrong. A court temporarily put a hold on a few aspects of the law, but the law is in effect and unlike the media, that doesn’t prevent me from examining what the law actually does. Despite “news” reports, reasonable suspicion must be based on facts, they must be specific, they must be articulable (you have to be able to say what they are, they can’t be vague feelings or hunches), and they must be sufficient to make a prudent and cautious person infer something criminal is happening. Failure to meet those conditions would be grounds to deny the legality of the officer’s actions, and bring on a world of hurt for the offending officer and the person’s entire department. An officer doesn’t need all those factors, and there may be others, but if an officer does develop reasonable suspicion that the person stopped, detained or arrested is present in the country unlawfully, the officer either contacts ICE at 802-872-6020, or contacts a 287G-certified officer to make a determination about lawful presence in the country. Now, does that sound like what the media has been telling you? Shame on the “news” media and its staff for so severely distorting this issue. Does this process sound unfairly onerous or unusually bizarre, to determine if a person has illegal broken into the nation by crossing the border when no one was watching? There is nothing racist about it whatsoever. The police department bends over backwards to avoid even an appearance of racism in enforcement of this crime-control law. They emphasize repeatedly that all Arizona officers will be under a microscope on this, so everything possible should be done to protect the department from accusations, real or imagined. The department recommends detailed documentation on all aspects of lawful stops, detentions or arrests, including recordings and after-incident reports, to be able to refute charges which may come from people detained or people released. 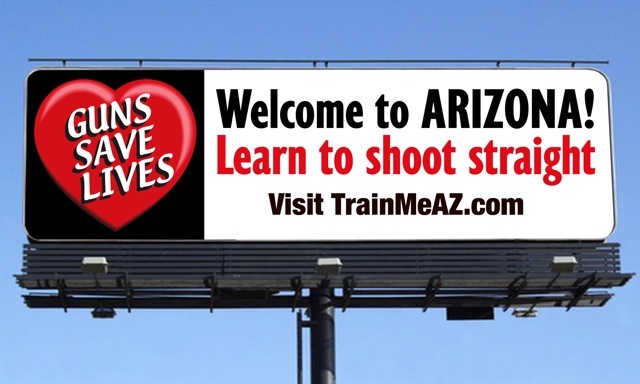 AZPOST, the Arizona Peace Officer Standards and Training Board responsible for the training video, warns officers to expect traps set by SB1070 opponents, hidden and obvious cameras and video recorders, carefully designed set ups to entrap officers and make a phony case about proper enforcement of the law. The only place rampant racism is involved is in false reporting and uninformed shouting about the law, which has been grotesque and outrageous. The false reports have been very effective in stirring up wild emotions and creating a furor based on nonsense and fabrications we used to call “lies.” People screaming for boycotts and ostracism do indeed believe the law is overly racist, and in that sense, the media campaign against this law has been very successful, even if concocted. --The integrity of our profession is at stake; you are being watched nationally; there is always a presumption of legal presence for anyone detained (the video constantly says stopped, detained or arrested, I shorten that here for simplicity). --Remember your oath of office and obligation to the public; you are required to enforce this law, it is not optional; document everything you do or do not do, say why, and be prepared to explain your actions. --Racial profiling (RP) is specifically forbidden, is a hot button used to arouse ire, critics doubt your ethics and ability, and this is underserved. An “ugly media image that’s unwarranted” has been created and promoted, before the law was even in effect. This includes any sense of detestable “show me your papers,” which has no more validity after 1070 than before. Papers are widely required for all sorts of routine business, from renting a hotel room or getting a library book to a traffic stop. --Racial profiling is defined, it is unethical, unacceptable, violates civil rights. (It becomes obvious that any officer who attempts RP will be in serious hot water.) RP was illegal before SB1070. --Only “reasonable suspicion of illegal presence” must drive actions; repercussions to an officer for using racial profiling are severe and would require an officer to falsify reports, internal affairs fabrication, perjury. An official can in no way jump from no papers to reasonable suspicion of unlawful presence. --Police are between a big rock and a very hard place, since they can be sued for failure to implement the law (the “teeth” Sen. Pearce put in to prevent sanctuary policies); yet they must release a person if the facts don’t rise to sufficient cause to act; this gray line might induce releases of illegals to avoid false charges, but could then be used for lawsuits for failure to enforce. --For a stop to be legal, the officer must be convinced the person “is committing, has committed or will commit” a crime; reasonable suspicion is needed to act, and then needed again for suspicion of illegal presence. --“Race tells us nothing.” Ethnicity, color, such factors play no role in enforcing the law. --When asking for ID in normal routine, if the person has it and it’s valid, that’s the end of it, and the presumption of lawful presence holds. If you still fail to recognize the “news” media as one of the greatest enemies America currently faces, you need to turn down your lithium drip. Infiltrators from Mexico continue unabated. A picture is worth a thousand words -- watch hidden-camera video as the illegals from Mexico pour into the United States through my state Arizona. If you have any questions as to why Arizona is seeking to empower its law-enforcement officers to deal with the problem, this brief video will remove all doubt. “Missouri Votes Against Health-Care Reform,” according to the Associate Press story following the Missouri primary elections. Missouri didn’t vote against health-care reform, Missouri voted in favor of health-care freedom. They agreed with the 70% of the public who want to stop an out-of-control federal government’s attempt to takeover America’s health care system. Missing in all the reports was any mention of a total lack of authority for government to control the health care system, or of a human being’s inherent right to do business with any doctor as the doctor and patient see fit. Such things are strictly controlled by the U.S. Constitution, which grants no authority to regulate health care, or run departments dedicated to regulating agriculture, education or energy. Despite constant usurpations of such forbidden powers, no arrests have been made or are expected. In an almost unimaginable increase in federal abuse and hubris, federal employees, who produce absolutely nothing and live off the earnings of the productive private sector through confiscations called taxes, have given themselves pay increases bringing them to more than double what the private sector earns, in just 10 years time. “This is an unfathomable escalation of federal abuse,” said a highly placed figure who refused to be identified. “How do we back out of this? Who do we hold responsible? How did it happen without our noticing? Heads ought to roll, but I fear none will, and we’ll keep paying these outrageous fortunes to people on the government roster,” she said, with veins visibly throbbing in her neck and temples. News headlines, in typical statist fashion, make the discovery sound like an award-winning event (“Big Gains in Federal Pay”), instead of the affront it is to all taxpayers. The article does little to question those responsible, and even provides cover and justification, saying, “unions say the compensation gap reflects the increasingly high level of skill and education required for most federal jobs,” according to someone in the union who is getting the pay. One government union president says the data are “not useful for a direct public-private comparison.” Why comparing the $61K average private salary to the $123K government salary is not “useful” is unexplained, except for an omitted technical description, which is that it’s bullsh*t.
Accompanying the news, Mr. B. Hussein Obama, who occupies the Oval office, has recommended a 1.4% increase to all federal employees. Republicans called for canceling the increase, but did not call for a rollback or an investigation. A demoncrat spokeshuman said a pay freeze “would unfairly scapegoat federal workers.” Mr. Obama did call for a freeze on bonuses to 2,900 political appointees. “By closing a tax loophole, the city is boosting its own resources. The change, approved by the Town Council last week, is expected to generate at least $150,000 in revenue during the current fiscal year, and as much as $400,000 by 2013.” The town in this particular article was Glendale, but it could have been your town. Newspapers unerringly take a statist view of your taxes, saying money is “generated” when it is actually “confiscated” by force. The money is not “revenue,” a term for money that is earned, it is “collections,” which in this case is taken at the point of a gun. This is not voluntary -- police are in the background prepared to enforce the takings if you don’t come across of your own accord. The media doesn’t realize they do this, could not be reached for comment, and has never run a correction on this matter. Back in June, federal authorities arrested ten people and sought another suspect in “what may be the biggest Russian spy ring detected in the U.S. in decades,” etc. etc. etc., it’s now old news. This is exactly the type of story Americans must take with a whole lot of suspicion. Every media outlet in the nation ran virtually the exact same story, with the exact same details on the same day. That's because there was only one single source of the story, "federal authorities." The feds, for whatever reason known only to them, decided to make a big media splash with this tale. If they had not, no one would know anything -- nothing -- about the so-called event. Federal authorities arrest thousands of suspects constantly, involved in every sort of mischief imaginable, many far far worse than what was alleged here. So why did the FBI decide to gen up its public speakers and make a loud announcement to the press? They almost never do that, and the “news” media leaves that sleeping dog lie. Isn't there value in keeping this quiet to track down co-conspirators and agents still sleeping? What effect did they expect this to have on Moscow? Surely, Moscow would know all about this without reading about it in The New York Times or seeing it non-stop on CNN, assuming it's real. Why doesn't the FBI make similar big noise over constant efforts by bad guys to obtain rocket launchers, poisons, explosives, nuclear materials, blueprints, military data, or even the non-stop Communist Chinese hoards who do nothing but cyber attack our institutions both private and public? Why this story at this time? A few weeks later we learned why government agents decided to dangle the media like puppets: it was a set up for a spy swap. And that’s probably baloney too if you could get down to the details. For all we know, Washington and the Kremlin agreed in advance to arrange the swap, worked out the details using expendable well-known sleeper agents in the suburbs, fed the media the gruel, and patted themselves on the back when it was all done and the duped public watched in dazed disinterest. Is it proper news policy to report on a story that is single-sourced, without making it explicit that no corroboration or confirmation from third parties can be obtained? That's rhetorical. The answer is no. Single-sourced stories coming from government have a name -- state propaganda -- propagated by media lapdogs. While an anti-freedom view of the world sees the McDonald v. Chicago case “tilting against limits,” a moderate centrist American view would instead lead the story by noting, “Ruling tilts law in favor of Bill of Rights.” The so-called “nation’s newspaper” has never seen the right to keep and bear arms in that light, driving the majority of American’s away from the paper and leading to enormous loss of credibility for the media. Although USA Today sees its “restrictions in jeopardy,” implying that valuable restrictions may be lost, a moderate American-values view would instead note that, “suppressed freedoms may be restored.” Mainstream America clings hard and fast to its freedoms. The nation’s media clings hard and fast to restrictions of those freedoms, and can’t see the rift they help widen. While Biskupic and Johnson see challenges to laws, the public sees elimination of bans on our rights. According to leading experts, the chances of helping reporters and editors see the light are nearly zero, making the “news” media one of the worst enemies of freedom the nation faces. Mexican drug cartels are getting their guns from U.S. gun stores, and lax gun laws in the U.S. are the main reason for the violence south of the border. Casting doubt on this popular media myth, the Washington Post surprisingly reports that “Grenades made in the United States and sent to Central America during the Cold War have resurfaced as terrifying new weapons in almost weekly attacks by Mexican drug cartels. The Post failed to mention that America doesn’t make AK-47s, that it’s the communists’ main gun. The American AR-15, also mentioned in the tale, are given to the Mexican army by U.S. tax dollars, where 18,000 soldiers deserted in 2008, with their gear. South America is so awash in weapons from “legitimate” government suppliers it is laughable to suggest cartels would buy single items one at a time at retail and smuggle them across the U.S. border, when they can just drive trucks up to arsenals, load ‘em up with forklifts, and pay with the mountains of cash they accumulate faster than they can spend. The Internet is too big and distributed for the government to control, you have nothing to fear. “After the U.S. Government took action against several sites connected to movie streaming recently, nerves are jangling over the possibility that this is just the beginning of a wider crackdown. Anyone who believes this degree of control cannot be exercised over any facet of the web, for any reason government deems necessary, is dreaming. National Security claims will make copyright claims seem tiny. All that may not matter if the now-circulating plans for an “Internet Driver’s License” take hold, which will allow or deny a person’s ability to be on the web at all, from one central command center. You are a master craftsman at distilling the legal jargon into layman's language, and at discerning the implications of these critically important court decisions. Your sprinkling of colloquialisms keeps it all from becoming too dry. Great writing! Art M.
I hereby nominate author Alan Korwin for the: "Say It All in Five Sentences or Less" award. Prize to be determined. "Everyone's against illegal immigration until you do something to stop it, then they're all against you. The conclusion is simple. Illegal immigration is a sanctioned and carefully managed program of the federal government, in direct cooperation with Mexico. It has to be, to move 2,500 to 5,000 people per day up to and through the border. It is an unmitigated invasion." --Daryl C.
You have no idea (regarding illegal infilttaitons)... if you don't live here. The media reports what the are told, not what happens. But seriously; is there an official, legal way to get the FBI to shred my personal info, now that I no longer need this permission slip, or is it there forever and always? CONGRATULATIONS on your FANTASTIC ACCOMPLISHMENT !!! Is there even a glimmer of hope for us here in New York, or should we just start packing our bags, so that we can LEGALLY pack HEAT ??? PS: When I was a teenager, I visited your Great State, and was surprised to see people "openly carrying" their side-arms. It dawned on me right away how SAFE I felt, and have always been a little jealous. God Bless, and Shoot Straight. --John T.
I applaud Arizona on every aspect of not only their Constitutional carry laws but their immigration laws as well. While I live in Texas and enjoy much more freedom than other states I would love to see Texas follow Arizona's lead on both counts. If it were not for my current employment in Texas I would move to Arizona in a heart beat. You can bet that we will be helping Arizona's economy with frequent visits. 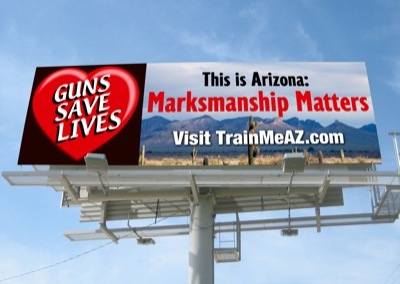 God Bless Arizona and the USA.